By the Sword is Alison Stuart’s first novel and is set for a re-release in March of this year. Although I have known Alison for some time (Hoydens and Firebrands), I had never before read any of her books until now. Jonathan Thornton makes for an interesting male lead. From our first, shocking, introduction to him he comes across as extremely noble and loyal. Kate Ashley, our heroine, is a widow and the mother of a young son, Tom. The English Civil Wars were a brutal time and Stuart very capably and beautifully brings the social and economic hardships to life. There were tender, poignant scenes between parent and child, and Stuart’s story was beautifully woven into historical events, such as the Battle of Worcester, which is in the middle of the book. The battle scenes were as good as the love scenes, and Stuart has the talent to depict both realistically and compellingly. In the last quarter of the book, we’re introduced to several new characters including baddie John Thurloe and the unforgettably nice Aunt Henrietta. Ultimately, this book had me turning the pages – I was so eager to know what happened to Jonathan and Kate. 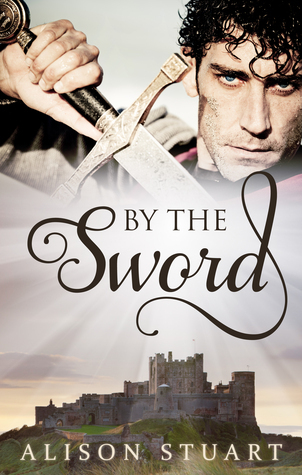 You can pre-order your copy of By the Sword by going to Escape Publishing. Weekly Wrap-up! → ← Weekly Wrap-Up!